Real Madrid are gearing up to land their third win in a week when they face Atletico Madrid – bwin caught up with Gareth Bale to get the inside track. Los Blancos are 6/4 favourites to gain revenge for their Copa del Rey exit at the hands of Diego Simeone’s men in their latest meeting. 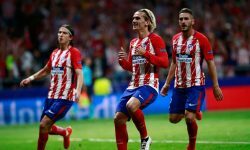 Atleti, meanwhile, are 19/10 outsiders for victory in front of the Vicente Calderon partisans and a second consecutive draw between the two sides is a 12/5 bet. Having played in numerous north London derbies during his time at Tottenham, Bale is vastly experienced in the pressure-cooker atmosphere of a high-profile bragging-rights battle. Despite being in just his second season at Santiago Bernabeu the Welshman has already racked up an enormous nine meetings with Real’s Madrid rivals. He only played Arsenal once more during six campaigns as a Lilywhite. Bale will be keen to add to the one goal he has struck against Los Colchoneros in last season’s Champions League final and can be backed at 7/4 to do so, while it’s 4/1 he bags in a Real win. Sign up for a new account at bwin.com today for a £30 free bet that turns a £120 profit if the 25-year-old scores in a Real Madrid win. The Welshman also found time to praise the recent form of Karim Benzema who has recently surpassed Fernando Hierro in the club’s all-time scoring list. 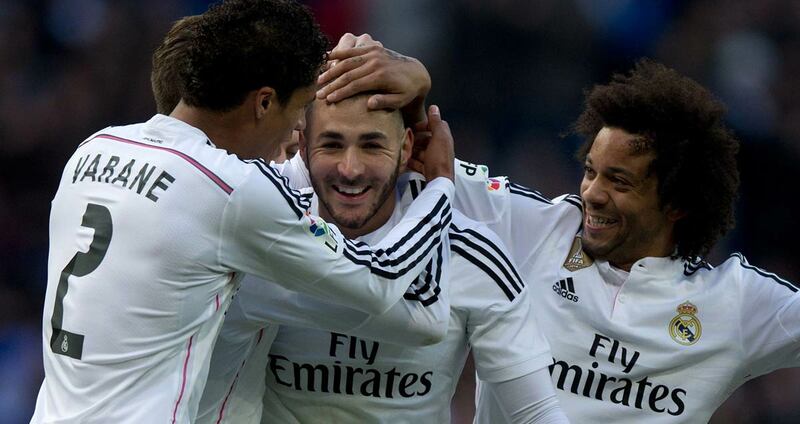 Benzema is 6/4 to net his 18th of the season in the derby. Conversation eventually turned to the prospects of Bale’s first Primera Division title for Los Blancos, but he wouldn’t be drawn on the subject, instead insisting that the side won’t be looking beyond the next game in their quest for the championship. Real are currently 9/25 favourites to win the league, with Barcelona second in the betting at 5/2 and Atletico Madrid third at a distant 20/1.